This day in 1844 marked the death of one of Napoleon’s marshals who, by an interesting development of events, managed to become the King of Sweden. His name was Jean Bernadotte and his Bernadotte dynasty still rules Sweden today – the current Swedish King Carl XVI Gustaf is his direct male descendant. How did a French military officer manage to become the King of Sweden? It was not even Napoleon’s merit, because Bernadotte and Bonaparte were not always in the most cordial relations. Namely, Bernadotte already achieved considerable success before he became Napoleon’s associate (he was 6 years older than Napoleon). Even before Napoleon’s rise to power, he received a high position from the Directory, when he became the Minister of War. Indeed, Bernadotte refused to help Napoleon during the coup in which Napoleon overthrew the Directory and became the head of state. 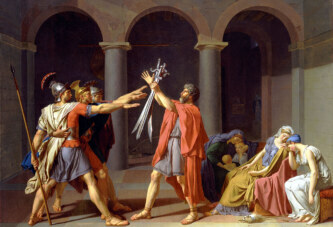 However, Napoleon later found Bernadotte to be a valuable associate, so Bonaparte awarded him with the rank of marshal and the title of Sovereign Prince of Ponte Corvo. It is interesting that Bernadotte married Napoleon’s former fiancée, Desiree Clary (Bonaparte broke off the engagement with her after he met Josephine). Desiree’s sister married Napoleon’s brother. So, Bernadotte and Napoleon were in some way equals, even sometimes rivals, and they did not have an exclusive relationship of superior and subordinate. Meanwhile, in Sweden, the reigning king of the Holstein-Gottorp dynasty had no male heir. A possible candidate for the throne was sought, the king’s cousin Charles August was elected first. However, he unexpectedly died a few months after the receipt of this function. One of the members of the Swedish Parliament then proposed Jean Bernadotte as the new heir to the throne. To most, that idea seemed ridiculousat first, because he was not even from the royal family. Even Napoleon thought that this suggestion was absurd. However, little by little, more and more representatives in the Swedish parliament went along with this proposal. Namely, Marshal Bernadotte was known for the kindness he showed to Swedish prisoners during a military campaign. Indeed, in 1810 the Swedish Parliament accepted Jean Bernadotte for the new heir to the throne. The ruling king then adopted him as a son under the name Karl Johan. As a matter of fact, Bernadotte soon became very popular in Sweden and all political power in his own hands. 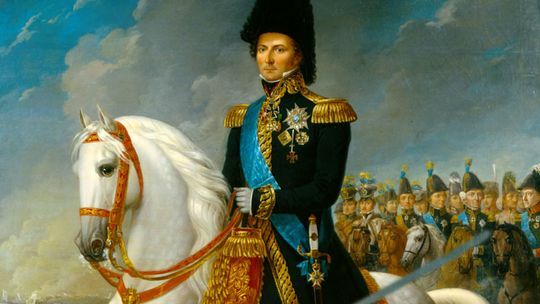 When the old king died in 1818, Bernadotte became king, known as Karl XIV Johan. He ruled for a full 26 years, until his death on this day in 1844.